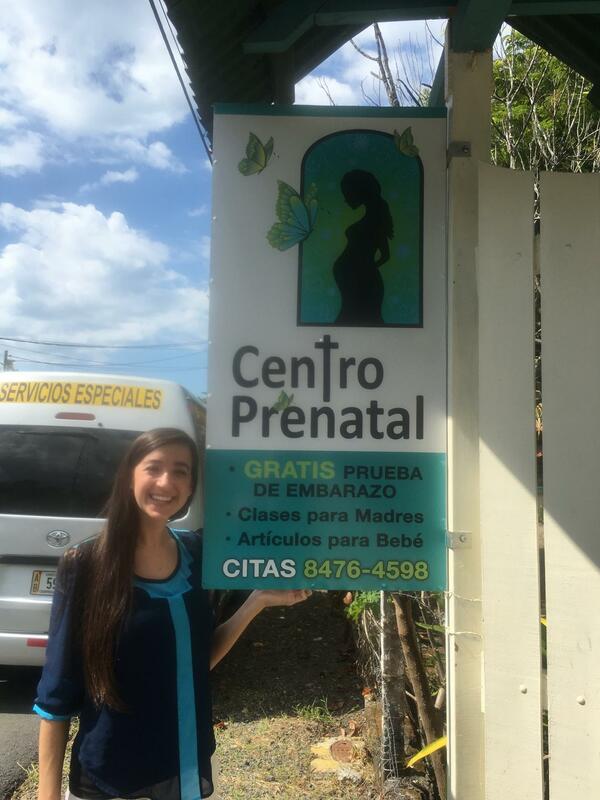 international Centro Prenatal pregnancy centers. You may discover more about Beautiful Feet International pregnancy centers and ministry here! We are so grateful to the Lord for our partnership with BFI. In 2012, we received a call from a former colleague of my husband offering us the use of a house in Costa Rica. Immediately, I knew that God wanted us to start a pregnancy center. Tarcoles and Jaco on the coast, in Heredia near the capital city, and in Upala on the Nicaraguan border. We have plans to open 3 more centers in 2016 including one near Talamanca where the indigenous people live. Each of our centers is staffed by Ticas as a volunteer ministry. W e have seen 100’s of people trust Christ through the ministry of Centro Prenatal in Costa Rica, including moms, dads and grandparents. The clients are discipled using devotionals written specifically for use during pregnancy and baby’s first year. We have come full cycle as we have 3 former clients who are now serving as volunteers in the ministry. God has also given us the privilege of opening 2 centers in Mexico and one in Togo, West Africa.